Brussel sprouts are one kind of vegetable that has the lowest net carbs. 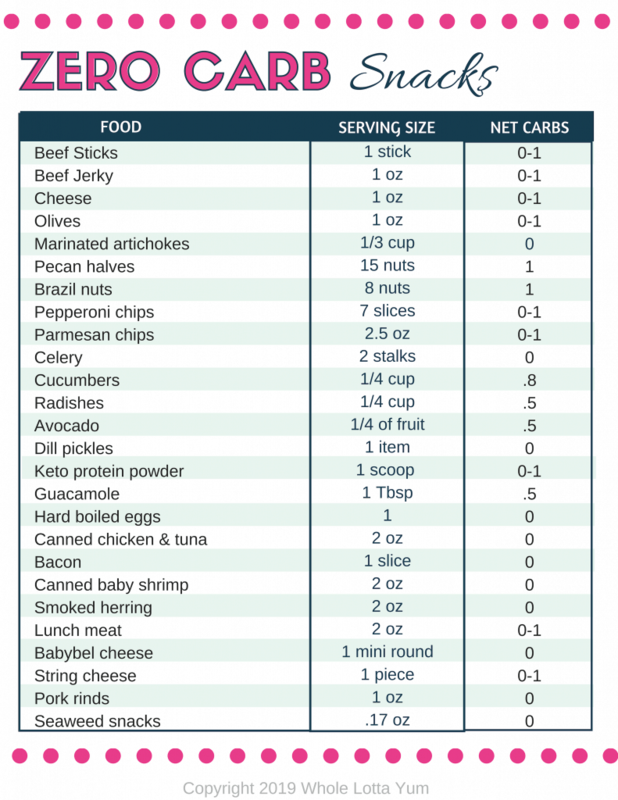 If you’re following a low carb or keto diet, you’ll be pleased to know that there’s only 8 total carbs in brussel sprouts for 1 cup. 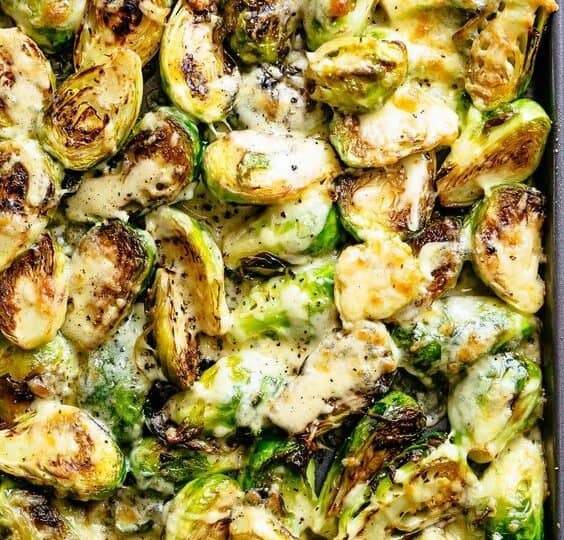 There are so many ways to enjoy delicious brussel sprouts. Long gone are the days when people commonly ate bitter boiled brussel sprouts. This is exactly what my family did so it’s surprising to me that my once most hated vegetable as a kid is my favorite vegetable as an adult. ARE BRUSSEL SPROUTS HIGH IN CARBS? If you’ve been wondering if brussel sprouts are high in carbs, you’ll be happy to learn they only 8 carbs per cup. Brussels sprouts have 3.3 grams of fiber per cup, and since you can subtract fiber from the carbs, that means there are only 4.7 net carbs in brussels sprouts. Since many people following a keto diet stick to 20 net carbs or less, eating brussel sprouts is one of the best low carb vegetable choices you can make. There’s so many easy and delicious brussel sprouts recipes. Even with only 4.7 net carbs in brussels sprouts, these recipes won’t add much more to the carbs. Make sure to also check the serving size for each recipe, one might consider 1 cup as a serving size, another recipe might be 1.5 cups. You can always make the portion size smaller to make sure you’re sticking to your net carbohydrate limit for the day. Sometimes the simple recipes are truly the best. This easy roasted brussel sprouts recipe is the one we make just about every single week as the perfect side to any low carb meal. You just need 1 lb of brussel sprouts (we love the pre-washed ones from Trader Joes), olive oil, garlic salt and ground black pepper. Preheat the oven to 375, cut the sprouts in half and place on a parchment paper lined baking sheet. Drizzle olive oil, garlic salt, and ground pepper to taste over the sprouts, mix gently, and bake for 20 minutes. Turn the sprouts with a spatula and continue to cook 15-20 more minutes until very soft, browned and crisp. For those times when you want something more complex than a basic recipe, you’ll love these this amazing idea with lots of garlic and melted mozzarella cheese. These delicious roasted sprouts cook up in only 40 minutes. Roasting brussels is the best way to get them nice, flavorful and caramelized. This particular recipe is one of our favorites for holiday meals and big family dinners. 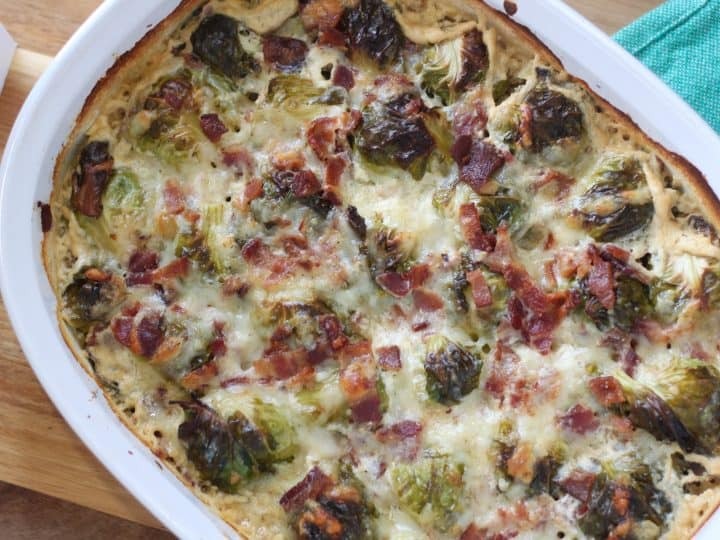 What’s not to love about a low carb brussels sprouts casserole made with a bacon cheese sauce? Wrapping the tasty little sprouts in bacon before baking them, takes roasted brussel sprouts to totally different level. 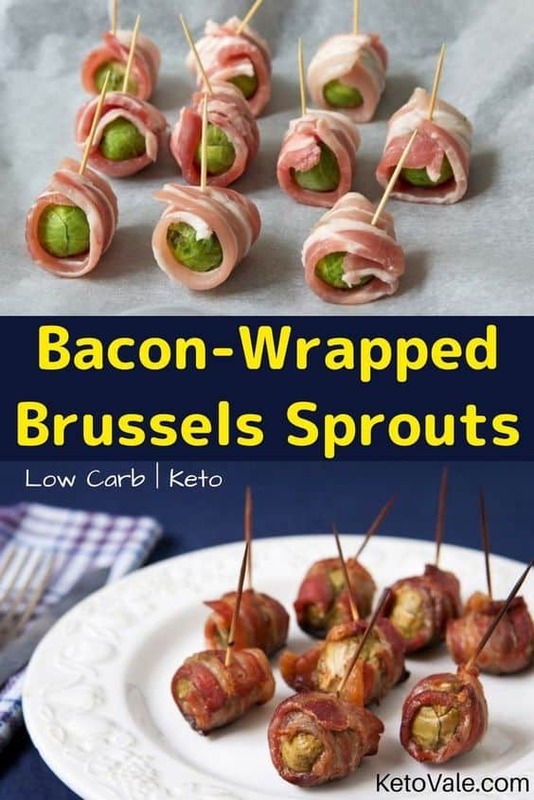 There are many brussel sprouts recipes out there laden with high sugar coatings, but to keep things healthier, I’ve actually found just using high quality bacon makes all the difference. Our favorite bacon is applewood smoked from the grocery store meat counter. It comes naturally slightly sweet without the extra sugary carbs from honey or maple syrup. 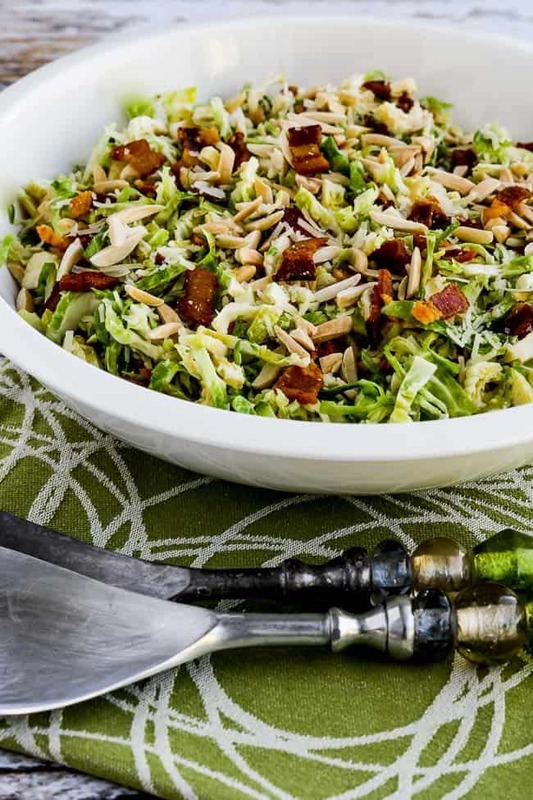 This delicious brussel sprouts salad recipe by Kayln’s Kitchen is just fabulous. 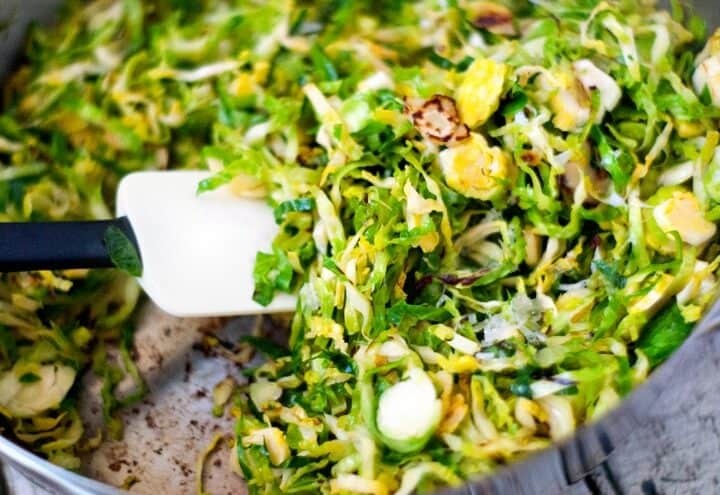 Finely shaved brussel sprouts served raw in a salad makes for a healthy and hearty recipe. One of the best reasons to use shaved brussel sprouts in salads is that it doesn’t get soggy like regular lettuce usually would. 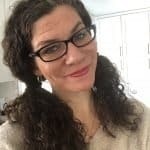 This recipe is low carb and does contain 1 T of maple syrup, if you’re following a strict keto diet you can skip the maple syrup and instead add a liquid stevia or a stevia honey nectar that still has a tiny bit of sugar, but less than honey or maple syrup. If you’re in the mood for a warm shaved brussel sprouts side dish, then you’ll love this low carb shaved brussel sprouts saute. If you’re following a keto diet you can simply swap the lemon juice for apple cider vinegar to keep the splash of tart flavor but bring down the carbs. 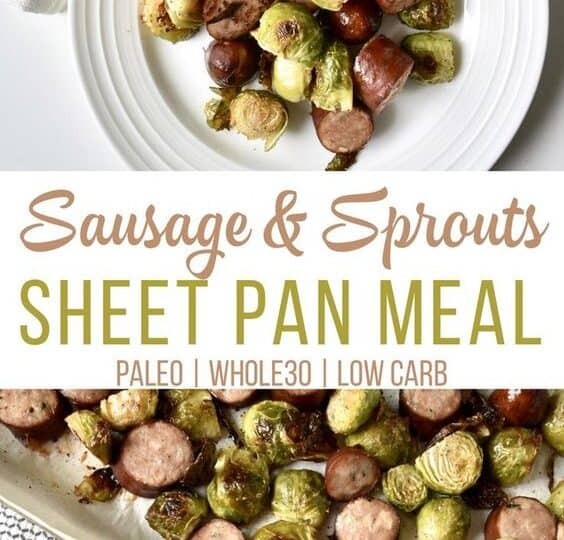 Brussel sprouts clearly make a fabulous healthy side dish, but it also makes a wonderful main dish meal when you toss them on a sheet pan with sausages. Roasting brussel sprouts with sausages makes for a simple and “lazy” meal everyone will love. Perfect for busy weeknights! Brussel sprouts carbs not listed– We often use chicken sausages that only have 0-1 net carb each, to keep this dish around 5 net carbs. 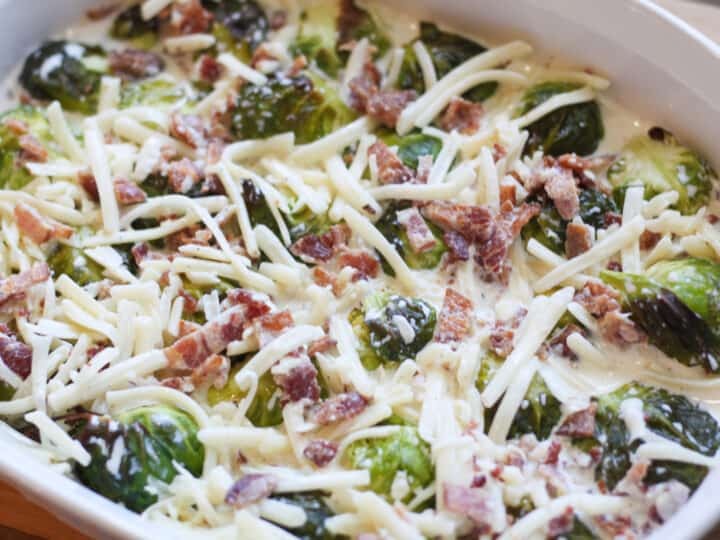 We hope you love this list of brussel sprouts recipes! When cooked the right way, sprouts are such a delicious and healthy side dish for any occasion. With less than 5 net carbs in brussel sprouts, this is the perfect vegetable for a low carb and keto diet.